Dubai, UAE, November 03, 2018: Participant numbers are strong ahead of the inaugural Daman DXB SwimFest, presented by Jumeirah Beach Hotel & Wild Wadi. Swimmers are looking forward to taking to the open water this Saturday off the iconic beach at the newly refurbished Jumeirah Beach Hotel as part of Dubai’s first SwimFest, organised by Professional Sports Group with Chad Le Clos, and sanctioned by the UAE Swimming Federation & Dubai Sports Council. 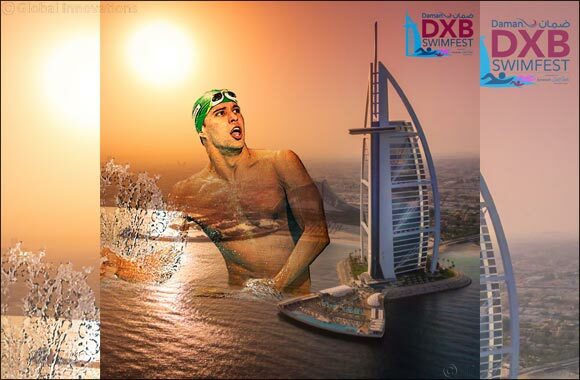 Hosted by multiple World and Olympic champion Chad Le Clos, the SwimFest offers swimmers of all ages and abilities the chance to take part in a host of races including the Dubai Mile, Swim the Burj Al Arab, Adult Relays, Family Fun Challenges and a range of Junior Splash Dashes. The Daman DXB SwimFest is supporting the Dubai Fitness Challenge, which is encouraging Dubai residents to get moving and becoming more active. “We have swimmers off all abilities taking part, ranging from kids to millennials to adults. I’d like to thank Michelle Weber and Chad Ho – two of the greatest Midmar Mile swimmers of all time – for joining us on Saturday. I really hope The Daman DXB SwimFest can one day rival the Midmar Mile in South Africa, which is regarded as the World Largest Open Water Swim” added Le Clos.